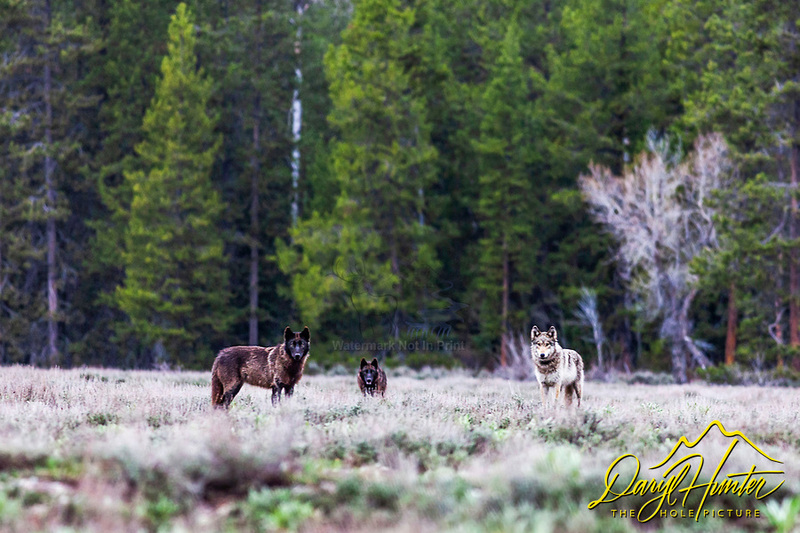 Three wolves of the Pacific Creek Pack that roams Grand Teton National Park. They are sizing up photographer pondering upon the taste. Moments before this, these wolves were hunting and chasing a cow elk but after seeing me sitting in the sagebrush they though they might have found an easier meal.